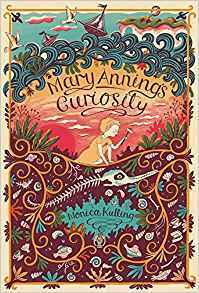 Monica Kulling is the author of two new books for kids, Mary Anning's Curiosity, which focuses on a well-known 19th century fossil hunter, and Alexander Hamilton: From Orphan to Founding Father. 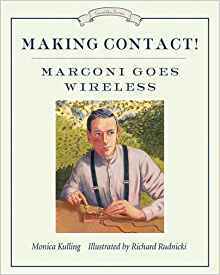 Her many other children's books include Making Contact! 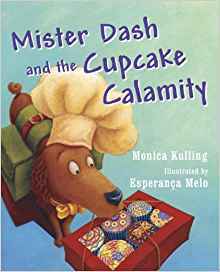 and Mister Dash and the Cupcake Calamity. She lives in Toronto. Q: Why did you decide to write about fossil hunter Mary Anning, and how did you research her life? A: I came upon Tracy Chevalier’s Remarkable Creatures and got so caught up in the fantastical story of Mary Anning that I was inspired to know more. Thank you, Tracy! Here was a poor, uneducated girl with a gift for finding the fossils that opened up our understanding of the Earth’s age, who, as an adult, was relied on as a fellow paleontologist, even though she didn’t get recognition from the Geological Society of the time. I was compelled to read more. I read through any and every book I could find about Mary Anning, including Patricia Pierce’s Jurassic Mary: Mary Anning and the Primeval Monsters; Shelley Emling’s The Fossil Hunter: Dinosaurs, Evolution, and the Woman Whose Discoveries Changed the World; and Joan Thomas’s Curiosity. I hadn’t planned to write about Mary Anning, but the more I read the more I saw that she made the perfect subject for kids, being a kid herself when she made her first major discovery, the Ichthyosaur. Q: What do you think readers can take away from her life story? A: Mary Anning’s story is definitely inspirational when you think of the times in which she lived—she was born in 1799—and the poverty and ignorance that surrounded her. In the face of those harsh realities, she showed grit, determination, perseverance, and courage. I’m hoping kids will find her story as inspiring as I did. 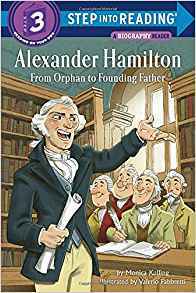 Q: You also have a new book for younger readers about Alexander Hamilton. How did you end up writing about him? A: Penguin Random House has been my publisher for many years and, happily, my wonderful editor brought this project to me. As a Canadian, I like the challenge of taking on American historical subjects—American history and its personalities have long been interests of mine. Q: What impact do you think the Hamilton musical is having on interest in Colonial American history? A: The Hamilton musical has opened the floodgates, that’s for sure. There are so many fascinating new books on this subject now that you could contentedly read about Colonial America and the Revolution for years to come. It’s an exciting time period—full of adventure, bravery, and people formulating the ideals at the root of the country that would be called the United States of America. The founding fathers (and mothers, too) were naturally flawed, but they strove to attain the highest ideals in governing the new land. In many ways, they had more sense of community than we see in today’s politics. A: I have never liked to talk much about my current projects, and I read somewhere that the more you talk about what you are going to do the more your brain thinks you’ve already accomplished what you’re talking about—you can talk an idea out! That said, I’ve recently finished the final edits of an Alexander Hamilton companion book. Eliza Hamilton: Founding Mother will be out in Fall 2018. 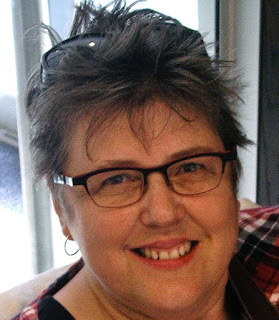 I’m always working on more than one project at a time, which I have done for years, and am happily finishing another biography picture book and working on the beginnings of a second novel. That’s all I’ll say, but thank you for asking. A: Yes, you should know that you’re very kind to have invited me to answers questions on your blog and for your interest in my work. Thank you, Deborah! Monica Kulling is one of my all-time fav authors! Thanks so much for commenting! I'm really glad to have had the opportunity to interview her!